China fascinates. Yet its cultural creativity often remains untapped. The expressive forms of a literature that maintains a centuries-old tradition, yet also works with contemporary styles and forms can seem too unfamiliar. Chinese authors are featured guests at the Frankfurt Book Fair and they are also invited to Berlin: The panelists will discuss the effects of social change on their writing. New literary voices, such as: Xu Lu and Li Dawei will share the stage with the renowned authors: Yu Hua or Yang Lian. The program introduces us to the vast spectrum of contemporary literature that spans from epic to illustrated exile comedy; social panorama to experimental poetry. Scholars and journalists complement the readings with commentaries and reflections. Li Er (*1966) lives in Beijing. In 2005, he was awarded the Grand Media Prize for Chinese Language Literature". In his acclaimed work “Der Granatapfelbaum, der Kirschen trägt”, Li Er describes the conflicts in China’s transitional society. Li Er will be presenting his latest book “Koloratur” (August 2009). Yu Hua (*1960, Hangzhou) lives in Beijing. His book “Leben!” was filmed by Zhang Yimou in 1994. 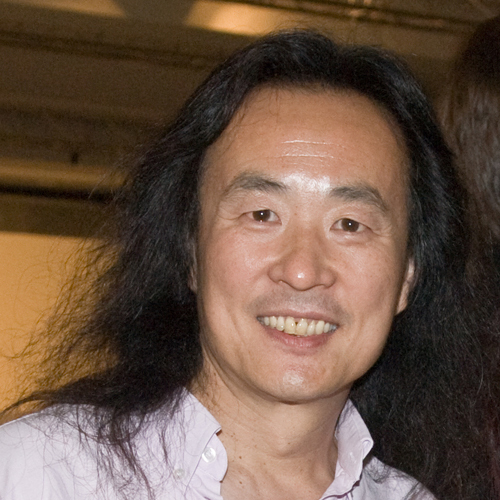 Yu Hue is one of the best-selling authors of his generation. His fifth novel “Brüder” is being published by Fisher Verlag in Fall 2009. Yang Lian (*1955) currently lives in London. He is the founder of the Independent Chinese PEN Club. During the Beijing Spring he published the journal “Jintian”. His poem cycle “Yi” takes up the traditional structure of the “Buch der Wandlungen” (ca. 2800 BC). This Fall, Suhrkamp is publishing his collected poems. Xu Lu (*1982, Wuhan) is one of the youngest and most experimental Chinese women authors. Since 2005, she has published, among other things, her prose collection “Xien 1460” (2005), the volume of fiction “Congci jinqing feixiang”, and the novel “Dida” (German translation 2009). This event is part of the Asia-Pacific Weeks 2009. The Asia-Pacific Weeks are made possible by the Stiftung Deutsche Klassenlotterie Berlin.